Disneyland is the original theme park that Walt Disney himself designed and built. He came up with the idea after visiting various amusement parks with his children. Disney bought 160 acres near Anaheim Ca in the early 50s and construction soon began. The park opened July 17, 1955. 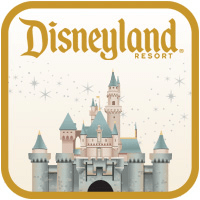 Disneyland Resort offers two parks: Disneyland Park and Disney California Adventureland, 3 hotels and Downtown Disney District area. Interested in getting a Quote? Click the Button to get a FREE, NO OBLIGATION Quote for your Disneyland Vacation. Disneyland Park is divided into 8 themed lands – Main Street, USA, Tomorrowland, Fantasyland, Mickey’s Toontown, Frontierland, Critter Country, New Orleans Square and Adventureland. While many of the rides are also at Walt Disney World, Disneyland does offer some unique attractions such as submarine voyage with Finding Nemo, Matterhorn, Mr. Toad’s Wild Ride, and Sleeping Beauty’s Castle just to name a few. Disneyland Monorail is a single rail inside the park at Tomorrowland or Downtown Disney District. This is a 13 minute 2.5-mile ride that takes you through Fantasyland, Tomorrowland, Grizzly Peak, Buena Vista Street and Hollywood Land in Disney California Adventure Park. In what used to be a parking lot for Disneyland, Disney California Adventure Park opened on February 8, 2001. Adventure Park is divided into 7 themed lands – Buena Vista Street, Cars Land, Grizzly Peak, Paradise Pier, Pacific Wharf, “A Bug’s Land”, and Hollywood Land. With so much to do all day long, there is something to do and see for every member of the family. Downtown Disney is between both parks and hotels. No admission ticket is required and is much smaller than Disney Springs at Walt Disney World. Downtown Disney opened January of 2001. With awesome open-air restaurants, unique shops, and exciting entertainment, Downtown Disney District is a park all in itself. Disneyland offers three resorts from Craftsman-style, luxurious room, and seaside-themed to fit any taste. This is a Deluxe hotel with amazing Craftsman-style elegance, Disney service, and even has its own entrance to Disney California Adventure Park. This hotel offers amazing themed pools with waterslide, award winning dining, and even a character meal and so much more. Enjoy early admission to the parks while staying at Disneyland’s Hotels. Stay in the past and present magic of the park at the Disneyland Hotel. There are three towers to choose from, each with its own theme related to the parks originality or pick one of the signature suites. 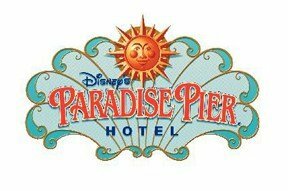 This hotel is located nearest to Downtown Disney District and a short stroll to both Disneyland Park and Disney California Adventure Park. 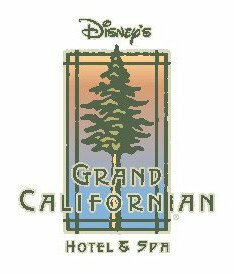 Hotel guest can take advantage of the special entrance to California Adventure Park at Disney’s Grand Californian Hotel. Enjoy early admission to the parks while staying at Disneyland’s Hotels relax in the pools or go on an adventure in the 2 monorail water slides. When you are ready to eat, head over to the resorts restaurants for a steak, island food, creative cocktails, and even dine at breakfast with Goofy.